Bon Iver has played a comparatively scant number of shows thus far in support of their fantastic 2016 album 22, A Million. 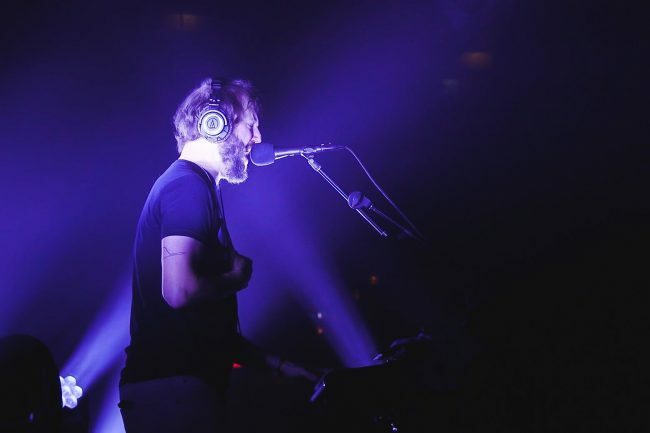 Thankfully the band and NPR have gifted us a great glimpse of their live shows via the band’s December show at the Pioneer Works in Brooklyn (a place near and dear to Justin Vernon). Check out the well-performed and well-captured show below (setlist at bottom). Justin Vernon is supported by a great ensemble, including Sean Carey, two drummers and a saxophone ensemble. But Vernon is rightfully rightly front and center, providing his near-Jabberwocky lines that nonetheless effortlessly drawing forth the audience’s unbridled emotions. The show is spectacular (as is every Bon Iver show). Enjoy! The Best Artist of the Year, Chance The Rapper, was the musical guest on SNL last night and rained down great gospel music on the proceedings. Dressed in a red overalls/white shirt, Santa motif, Chance and NoName and an effervescent ensemble delivered a powerful, moving performance of Finish/Line. Watch below as Chance rightly calls out and dances off of his fantastic drummer, Greg Landfair Jr. Chance also played piano and performed Same Drugs with help from Francis (of Francis and the Lights) and (at 3:29) from astonishingly great backup singers (who dey?) who are truly a mere 20 Feet From Stardom. 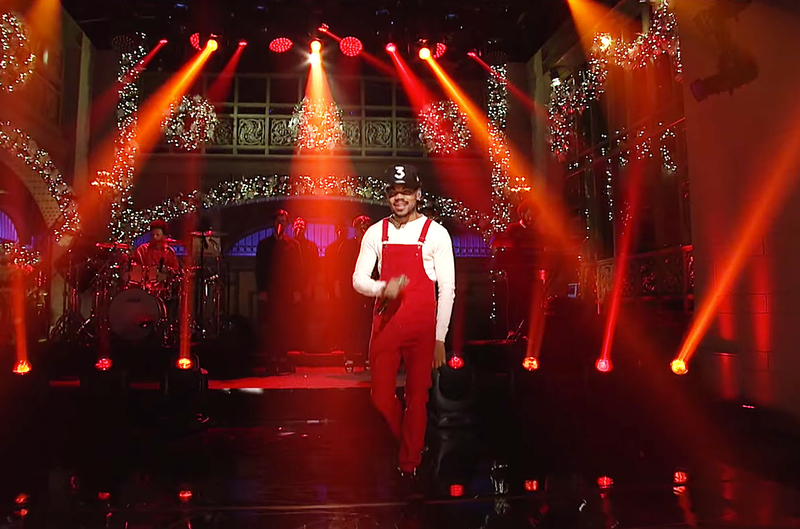 Last night’s performance came almost a year-to-the-day from Chance’s SNL-debut last year (watch his stupendous performance of Sunday Candy at bottom). We hereby petition SNL and Chance to make this an annual Christmas performance to eclipse the memories of Bing Crosby and, err, umm…White Christmas. As an added bonus check out Chance’s skit homage to Obama and Run D.M.C.’s classic Christmas in Hollis vignette. Awesomeness all around! The great indie band Allo Darlin’ won our coveted Best Album of the Year in 2012 for their pop masterpiece Europe. Sadly, the band is ending its great run with a series of farewell shows in London that start tomorrow. 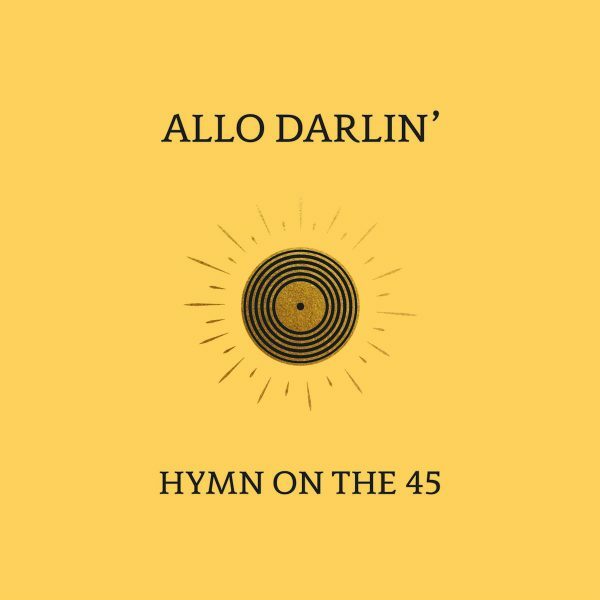 But to exit in style, Allo Darlin’ has gifted us with a nostalgic video for their sweet, chiming swan song Hymn On The 45, which you can watch below. The song is available as a 7″ coupled with B-side Wanderlust (which you can pick up HERE). Long live Allo Darlin’!! 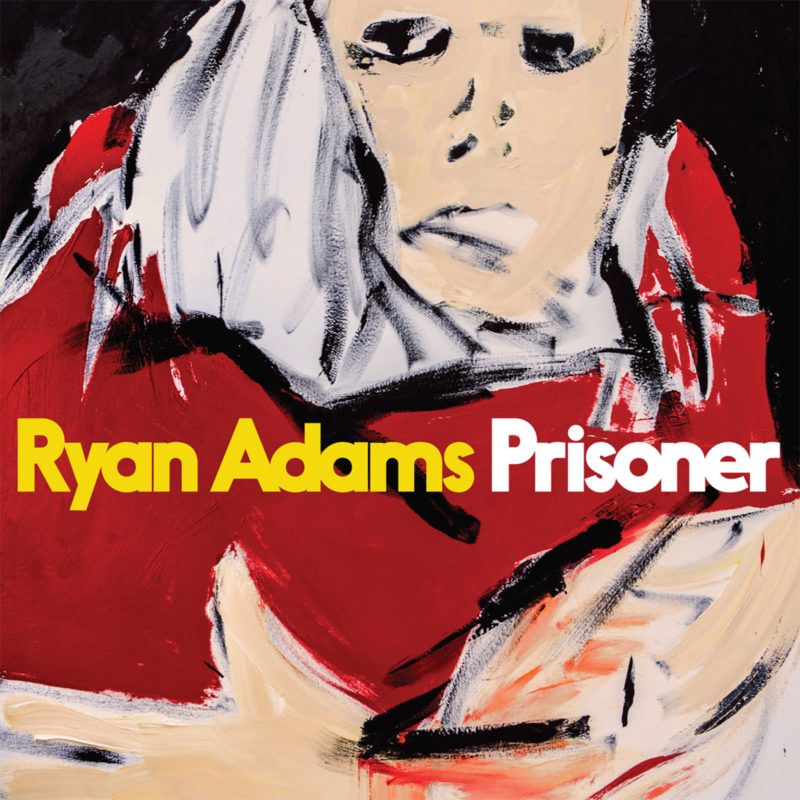 The indefatigable, ever-busy Ryan Adams has just announced he will release his next album Prisoner in February. Adams has given us a powerful sample in the form of new song Do You Still Love Me?, which you can listen to below. We love the Petty-esque song that opens mournfully with Procol Harum-sounding organ before quickly segueing into an out-right ’80s-esque rocker. A whiter shade of wail! Bravo! Adams put on our favorite show of any that we saw at the Santa Barbara Bowl this year, and we can’t wait to catch him again out in support of Prisoner. The album’s tracklist is at bottom. You can pre-order the album HERE. 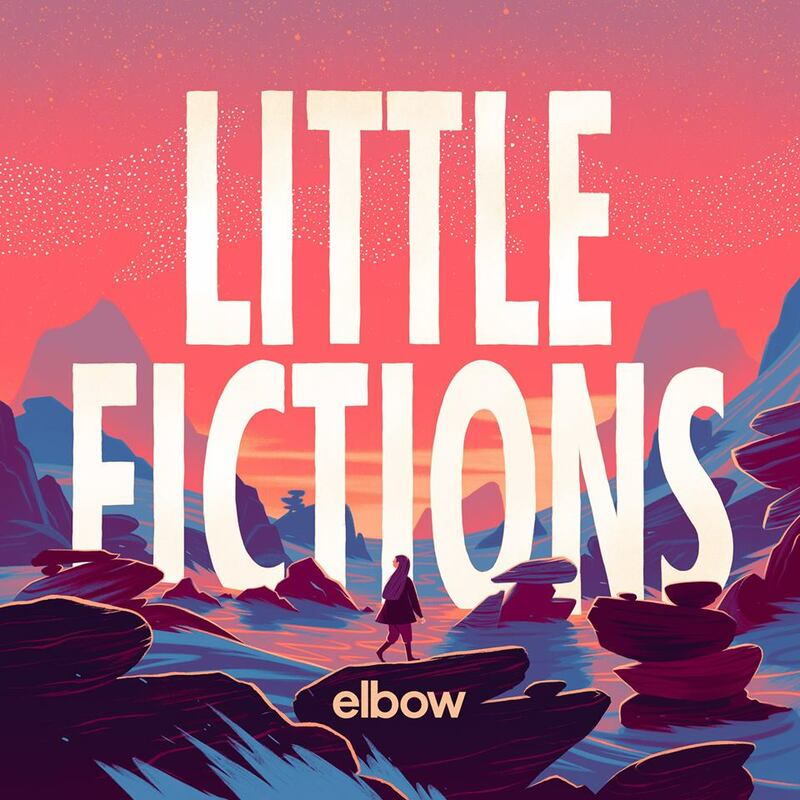 Happy holidays are finally here in the form of new song Magnificent (She Says) from the great British band Elbow along with news that the band will release a new studio album entitled Little Fictions (on Polydor) in February. See the new album’s tracklist below. According to the band’s press release, the new album was recorded in Scotland and Manchester, was produced by Craig Potter and features string players from the Hallé Orchestra, backing vocals from Hallé Ancoats Community Choir and London Contemporary Voices, and session drummer Alex Reeves. Elbow’s last album was 2014’s The Take Off and Landing of Everything, which was one of our Best Albums of 2014. 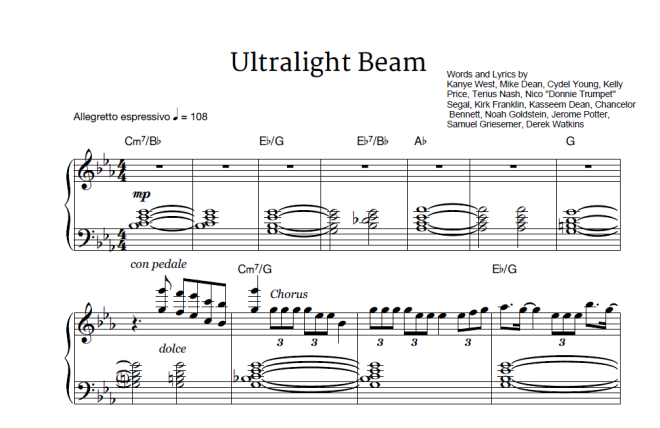 Check the new song out below, featuring strings and ample swoon. Great stuff from the always-reliable Elbow. While the band has frequently featured strings in its recordings and tours, the strings here remind of Radiohead’s Burn The Witch. 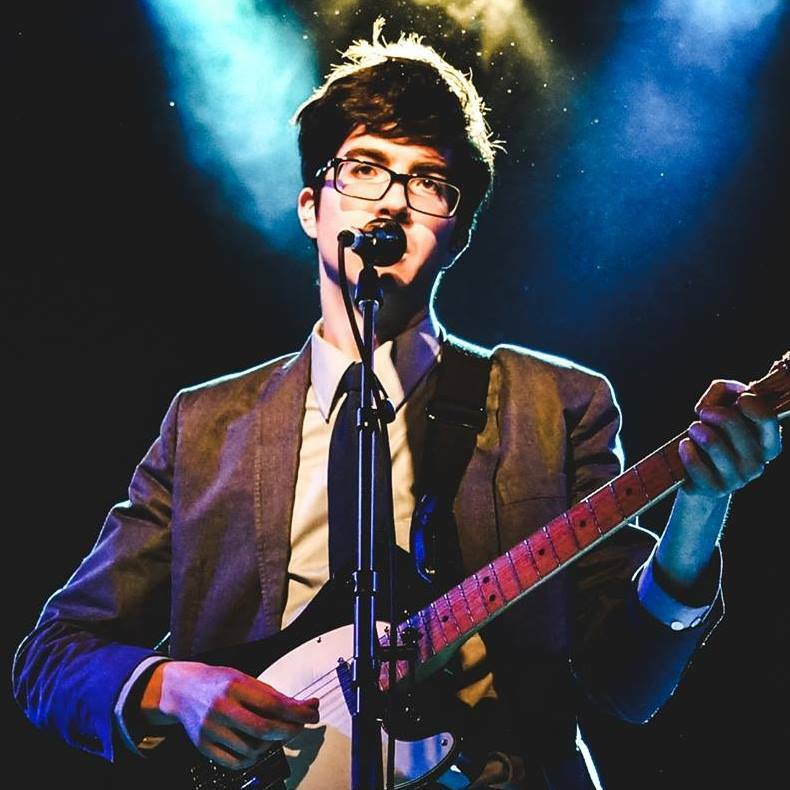 Singer-songwriter Will Toledo has evolved from laptop-recording/Bandcamp maven to the leader of the superb rock ‘n roll band Car Seat Headrest. The band’s outstanding 2016 album Teens of Denial (on Matador) is deservedly on many Best Albums of 2016 lists (including No. 4 on Rolling Stone‘s list). This week Car Seat Headrest showed up on late night TV and gave a raving performance of their much-loved song Drunk Drivers/Killer Whales with members of The Roots adding great horn support. We loved everything about the performance, which reminded much of the great Okkervil River (the two bands have much in common, including intelligent and be-glassed singers named Will). Check out the performance below. The official lyric video for the song follows. You can pick up Teens of Denial HERE. LA greats Local Natives have covered Kanye West’s shining Ultralight Beam to superb effect. Check it out below, followed by the inimitable original and the song’s lyrics. People: we on an ultralight beam.